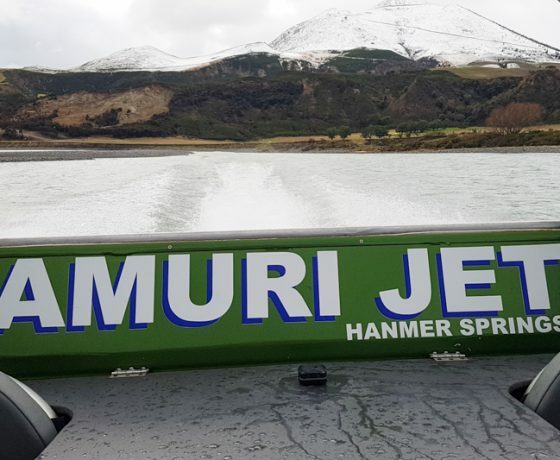 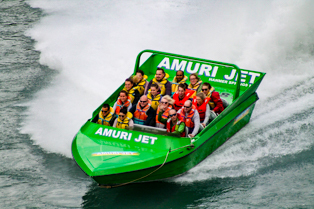 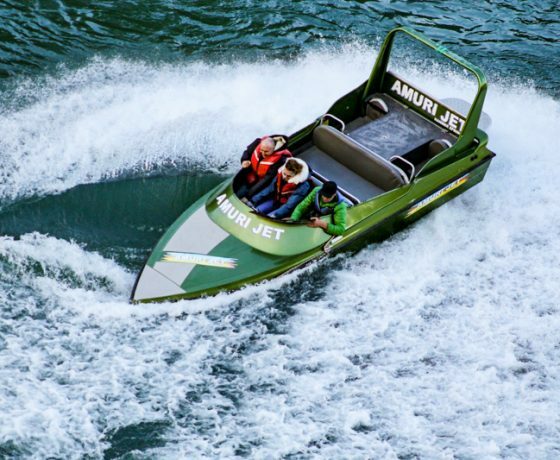 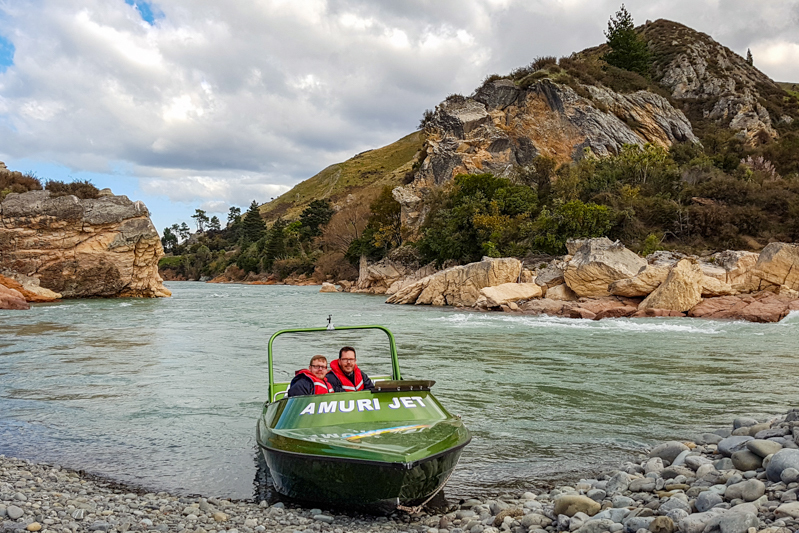 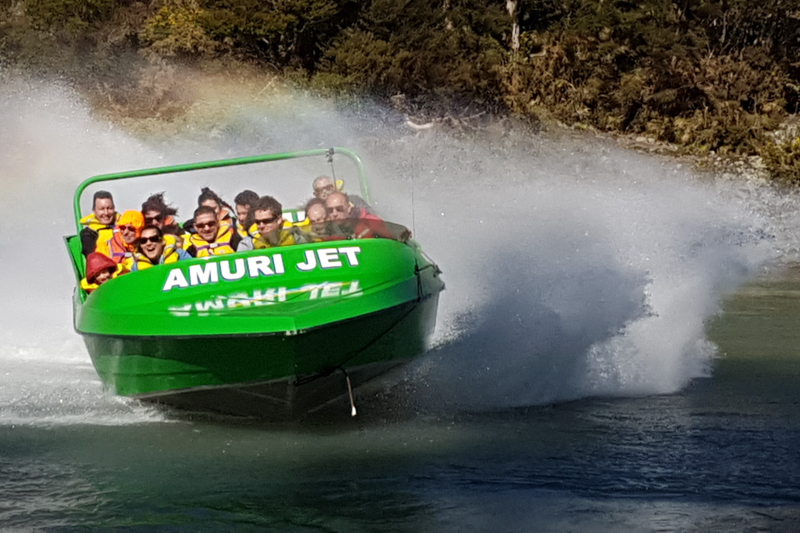 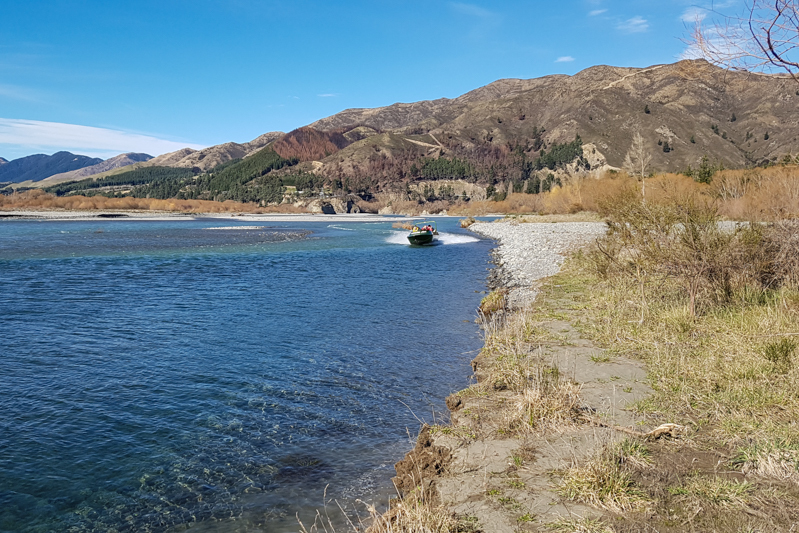 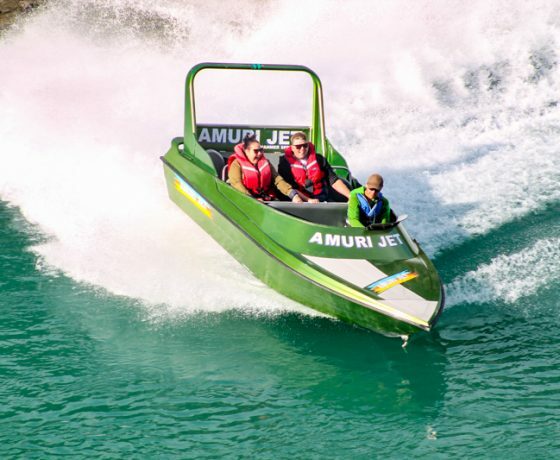 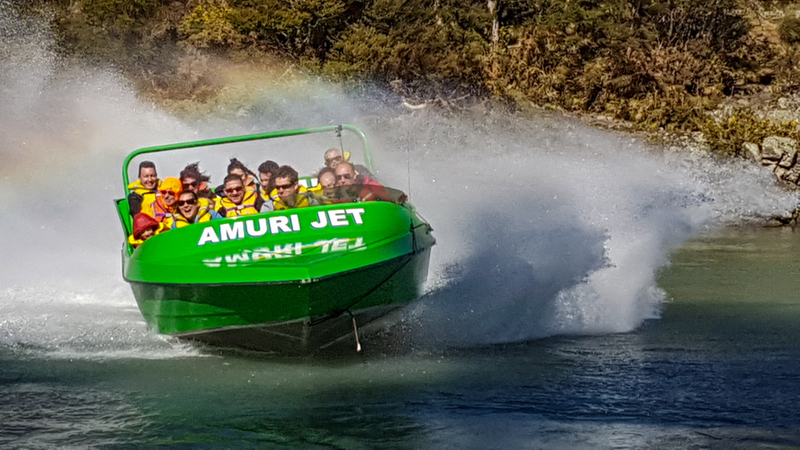 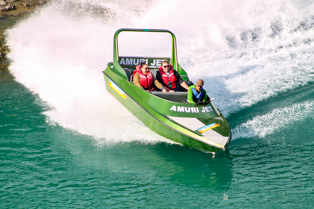 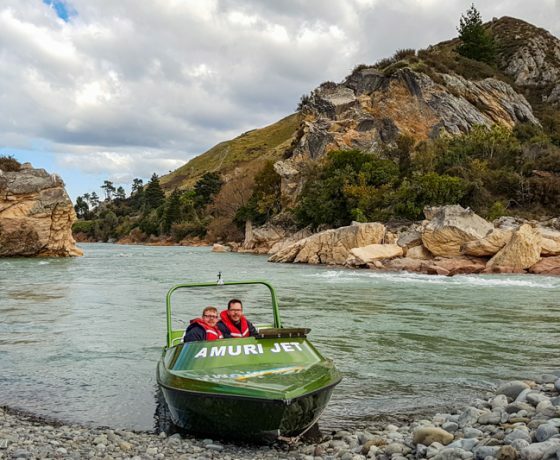 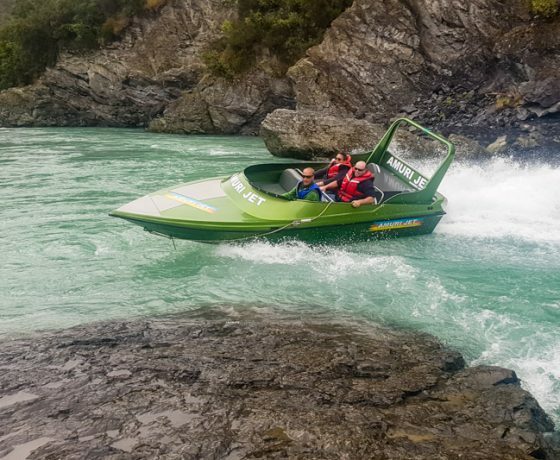 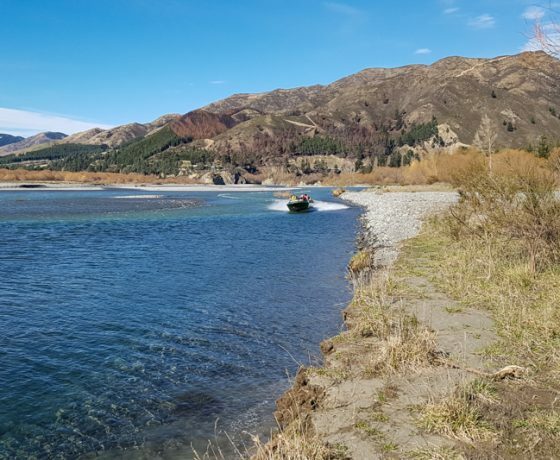 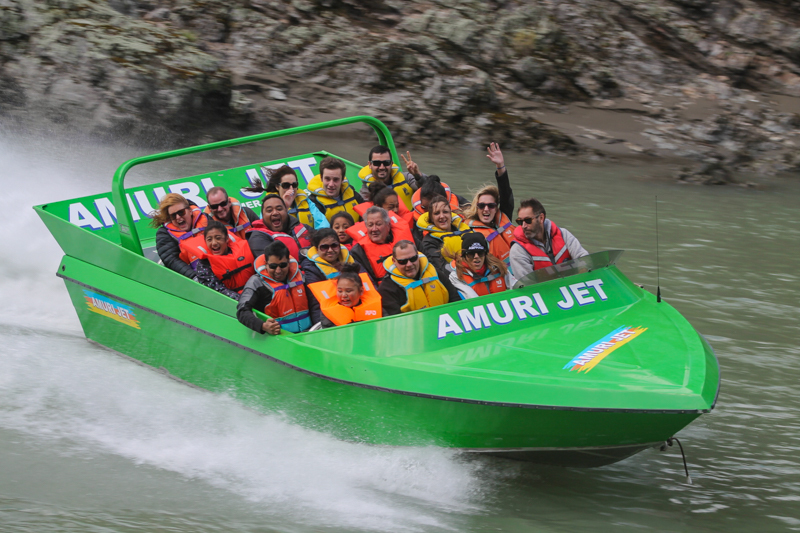 Amuri Jet in Hanmer Springs has taken thousands of visitors through the magnificent Waiau River – A ‘Must Do’ when you visit Hanmer Springs. 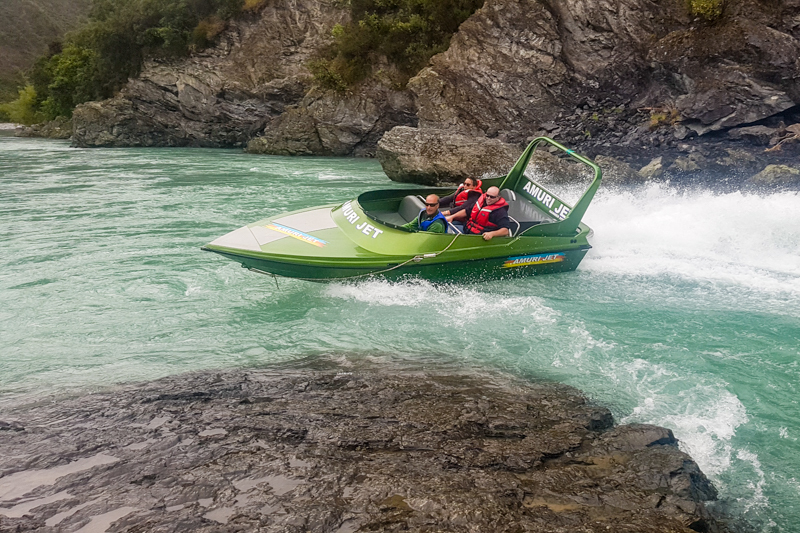 This is our most popular trip leaving the base and heading down stream. 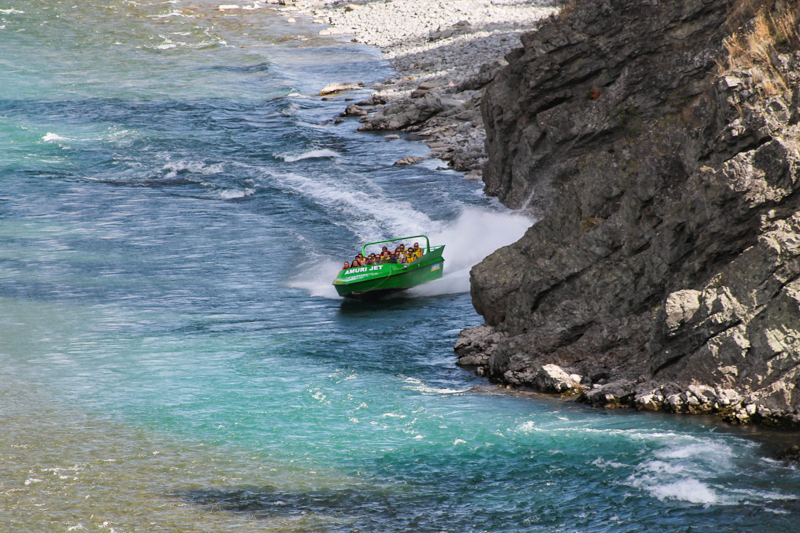 Join us as we jet the entire length of Hanmer’s spectacular Waiau Gorge. 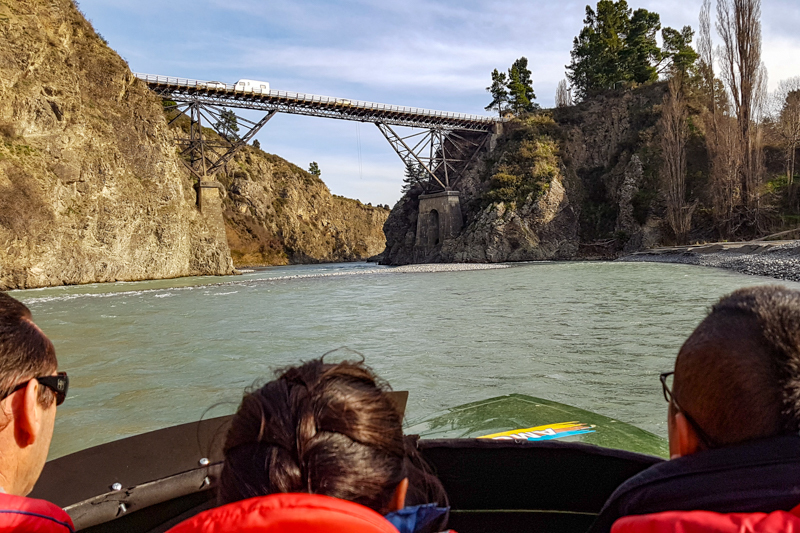 Following the contours of the steep canyon walls where possible, it’s elbows in, as we pass within centimetres of rugged rocks and cliff faces. 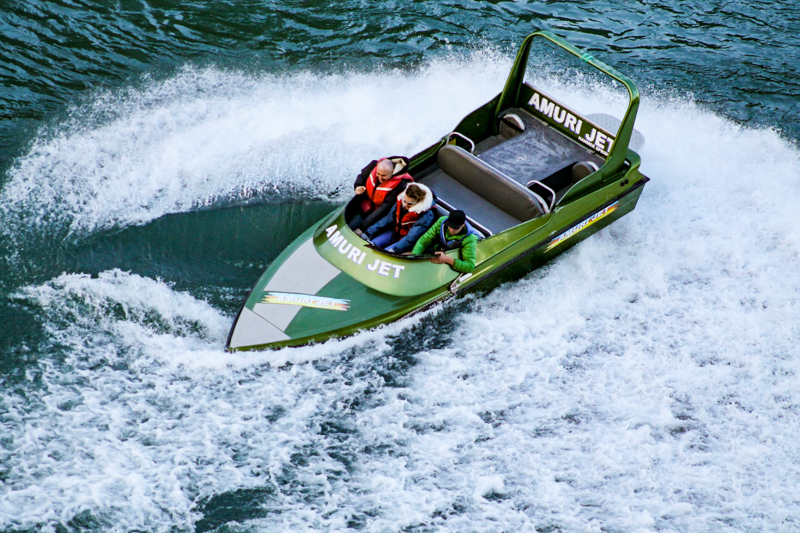 Hold on as you experience the famous Hamilton (360) turn to get your adrenaline pumping! 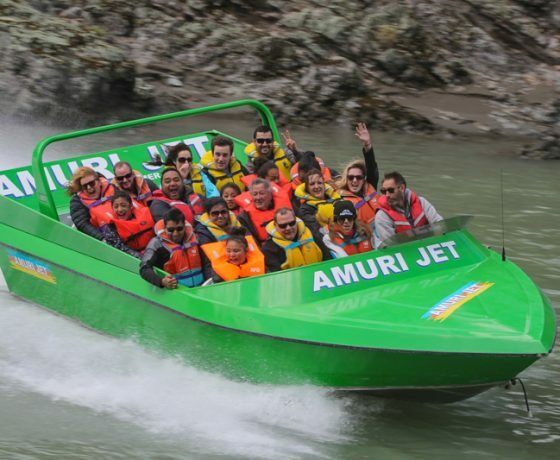 NOTE: We need a minimum of 2 passengers for the trip to go ahead. 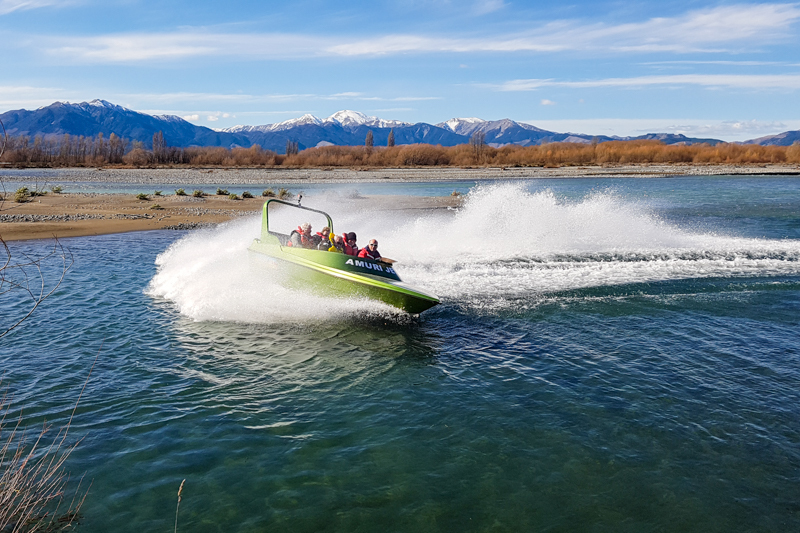 Go back to why Jetboats were started , smaller boats exploring the smaller braids of the Hanmer Springs Basin. 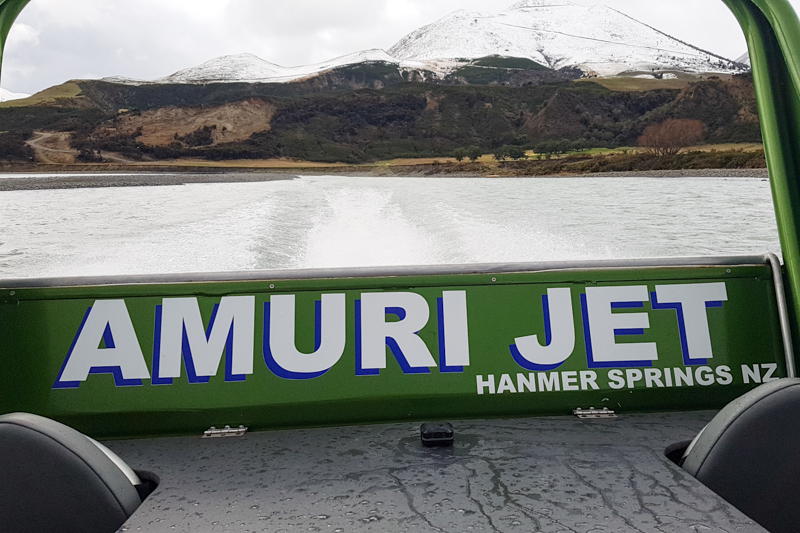 This trip allows you to get off the boat and explore the Fault line at Marble point , so dont forget your Camera, the mountain scenery is magestic! 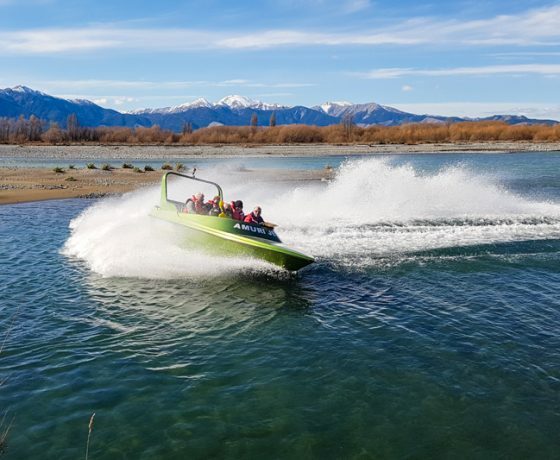 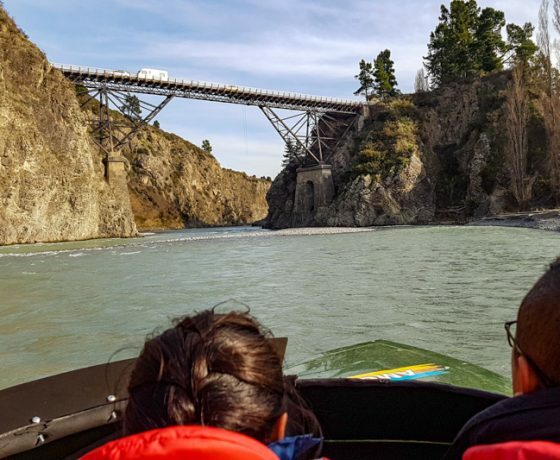 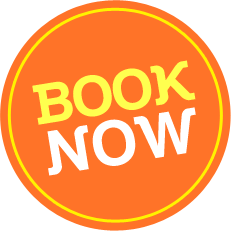 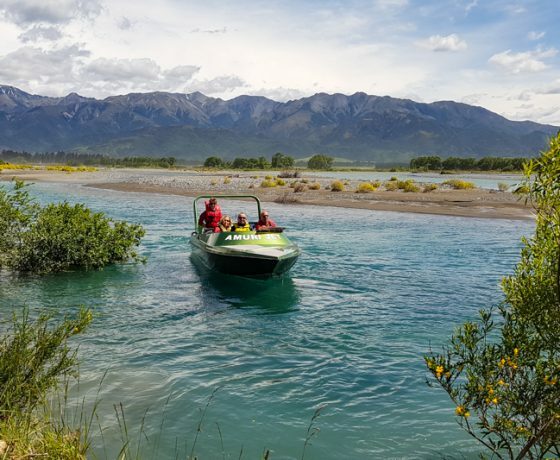 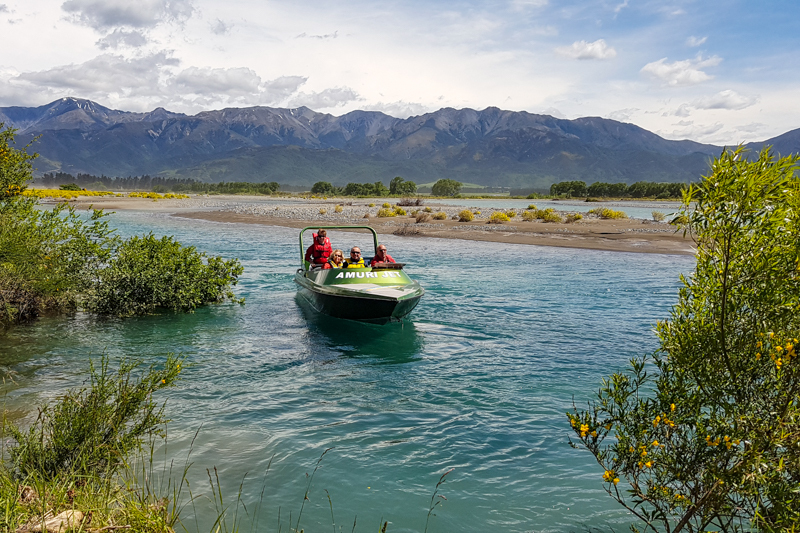 This trip leaves the base and heads upstream into the Shallow braids with the backdrop of the beautiful mountains of Hanmer Springs and then heads into the Gorge. 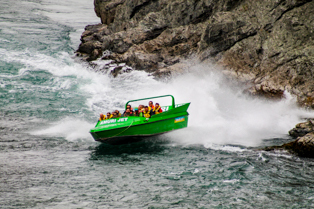 Watch out as the boat zooms past the cliff faces with inches to spare and then hold on as you experience the famous Hamilton spin (360 degrees spin). 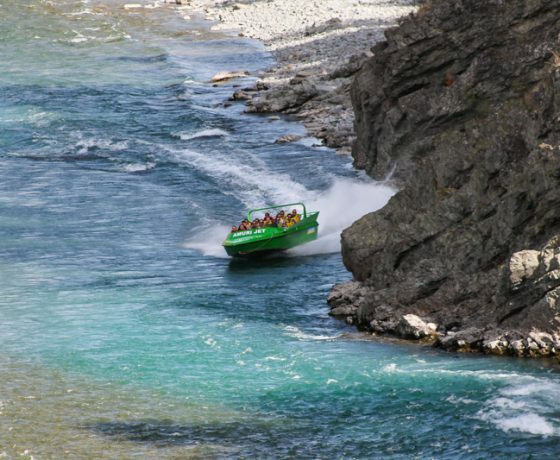 This trip has it all , Canyon, braids, shallows. 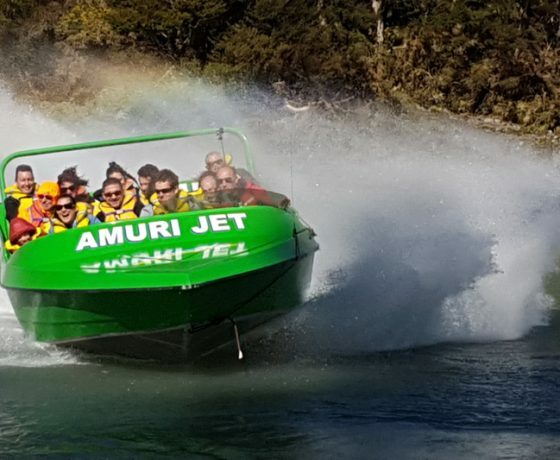 A real Jetboating experience.